Here’s a simple learning activity inspired by this month’s book club pick A Chair for My Mother: design your perfect chair. All you need is paper and pencil–or any other drawing tool like crayons, markers, or water colors. You could even try to sculpt chairs out of play dough! 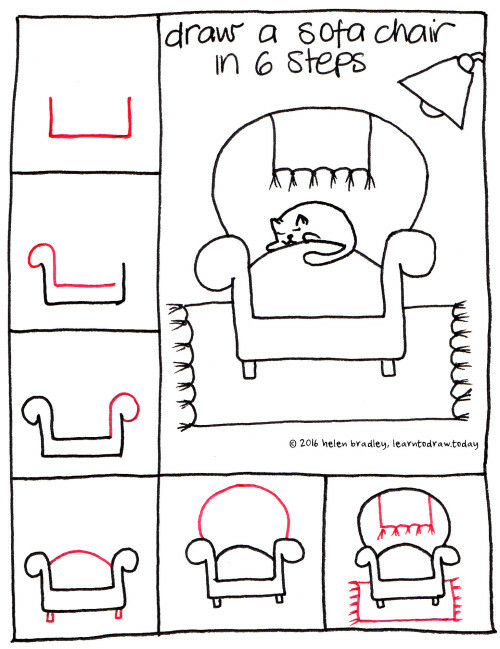 If you’d prefer, you can use this drawing tutorial from learntodraw.today to draw your perfect chair. To take the learning further, set up a pretend furniture store with the drawings, price tags, and pennies or pretend money. Take turns being the buyer and seller. Talk about the different features of the chairs–the fabrics, colors, patterns, sizes etc. Kids will be practicing vocabulary skills, math skills, and the concept of buying/selling all while playing. Sign up using for the monthly book club guide using the pop-up on our website for more book-related learning activities. Do you have book-related ideas or photos to share? Post them on the BIG WORLD Book Club Facebook Group to share with other parents and educators around the world.